This day the focus was to visist some of the bigger breweries far away such as Cientos and Eresson brewery. 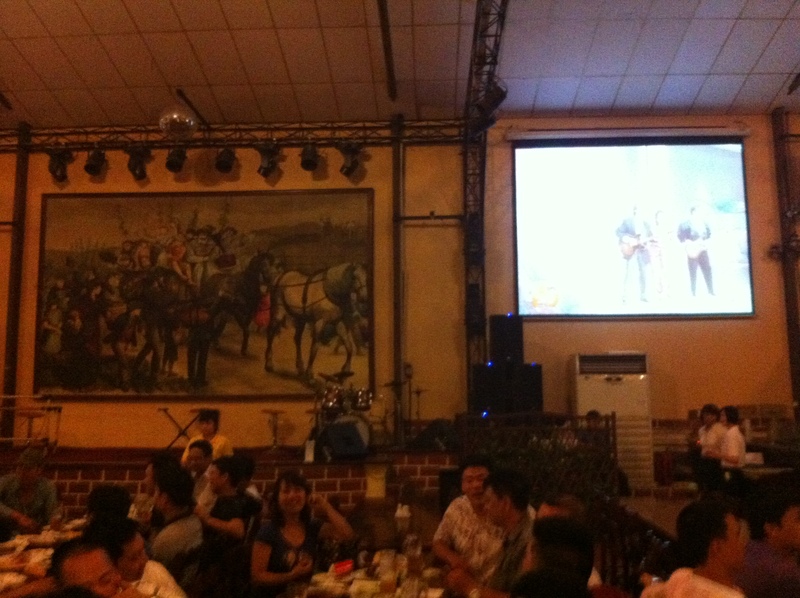 The evening started at Goldmalt in Van phuc with black and blond good tasting beer. The location makes it difficult to find but worth the time. When all arrived we went to Cientos and tried their black and blond beer. After this two Czech styled breweries we came to the huge Eresson brewery with three beers on tap. 3 french fries and a sausage The aroma beer reminds you about the Belgian beers with a more sweet than dry or bitter taste, but it has some fruity taste and really makes up for the name. The blond and black was ok but quite light. This time we tried some food also. Eresson has one dish with the name “sausages with French fries” which we strongly recommend to order if you wake up on the good side and ready for a good prank. We ordered two plates with that mouth watering dish. Each plate with one sausage and three (yes 3) french fries. The staff confirmed that this was “sausage with french fries”. After a good laugh we went to Mai Vien Brauhaus and and the owner and brew master, Tin welcomed us and served his really good beers. The quality is really stable and no big differences. Staff speaks english and are service minded which was well appreciated. 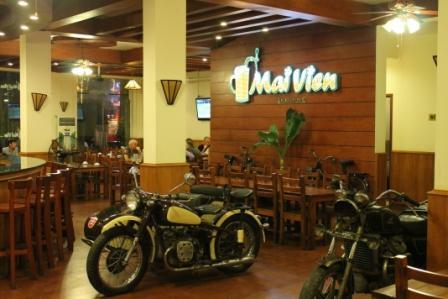 Besides beer, he is very interested in motorcycles with side cars and have a couple of motorcycles in the restaurant which he uses sometimes. After 4 breweries and 9 different beers we went to Hoavien which was almost closed by the time of arrival, about 10.30 pm but the manager there is service minded and a table was prepared when we came. They saved some staff both in kitchen and out, only to serve our group of about 10 people. We had their delicious fried cheese with plenty of french fries and plenty of beers. Vien? The word is widely used here in Vietnam and we asked what it means. Vien means garden. For example Mai vien means Mais (Mai is a female name here in Vietnam and means flower) garden. 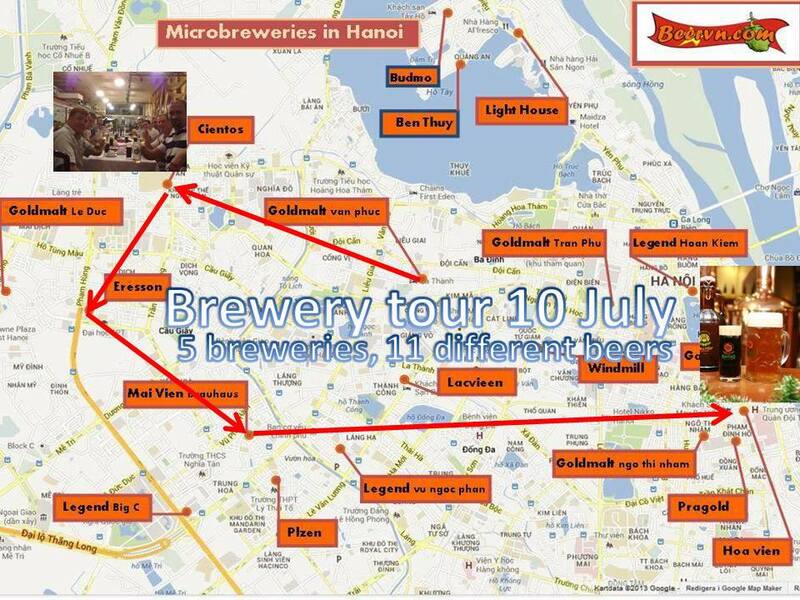 This tour the black beer at Mai vien Brauhaus was voted as the best one.